The Rangemaster Elise 110 Dual Fuel Stainless Steel Range Cooker is a full size Rangemaster cooker range perfect for all culinary requirements. It compromises of two spacious ovens, each with 73l capacity. The six burner hob is similarly roomy and runs on dual fuel single click ignition making this cooker A rated for energy efficiency. 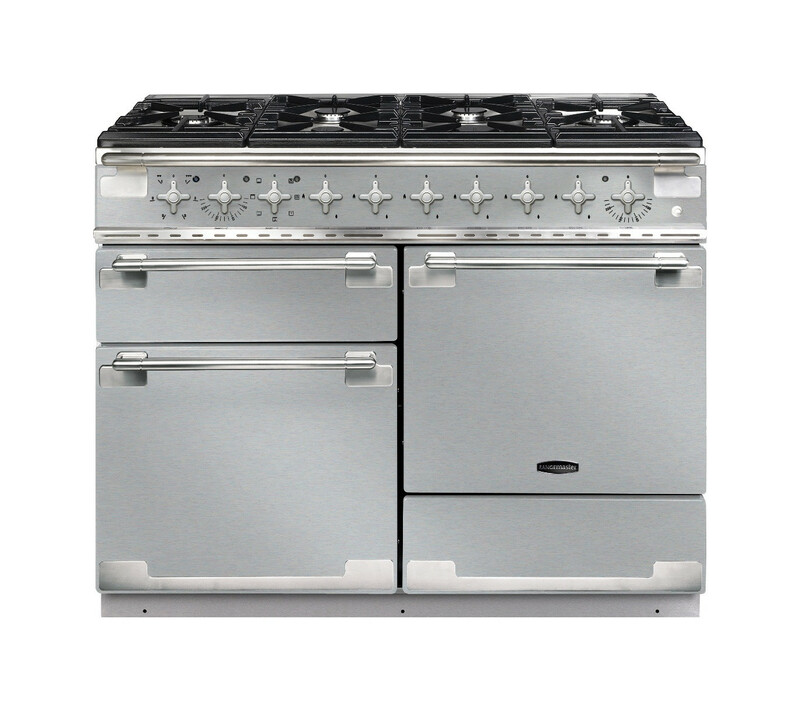 This range comes in a classic Stainless Steel trim. Although it may look simple, this range has a wealth of functional extras that will help significantly optimise your cooking. Such features include a powerful dual circuit grill, an electric griddle, a browning element, storage drawer and handyrack. The features are not exclusive to just these either and the Rangemaster Elise 110 Dual Fuel Stainless Steel Range Cooker is the epitome of top quality performance cooker ranges.